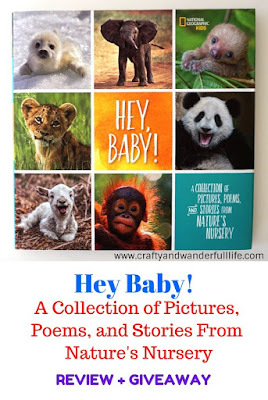 Crafty And Wanderfull Life: National Geographic Kids "Hey Baby! A Collection of Pictures, Poems & Stories From Nature's Nursery"
National Geographic Kids "Hey Baby! A Collection of Pictures, Poems & Stories From Nature's Nursery"
I just got the cutest book in the mail last week. It's from one of my favorite publishers, National Geographic Kids. Hey Baby! A Collection of Pictures, Poems and Stories From Nature's Nursery is full of the most adorable baby animals! Hey Baby! 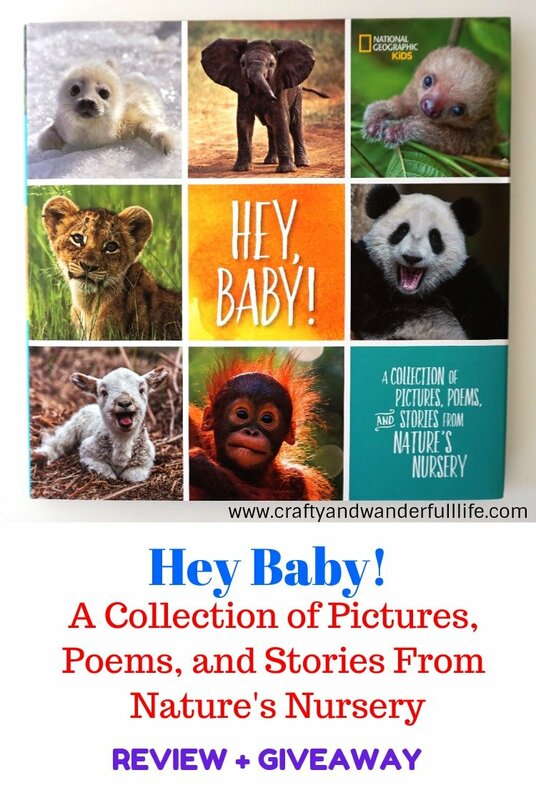 A Collection of Pictures, Poems and Stories From Nature's Nursery features fun profiles, poems, facts and tales about the cutest baby animals found all over the world. It's divided into sections, based on animal habitats, such as Mountains, the Jungle, Rain Forest and the Desert. Each section begins with a poem that features animals that are found in that habitat. There are animal profiles that tell you what each baby animal is called, where they live and what they eat. Plus, there are special stories about unusual animal friendships, animal rescue and global folktales. 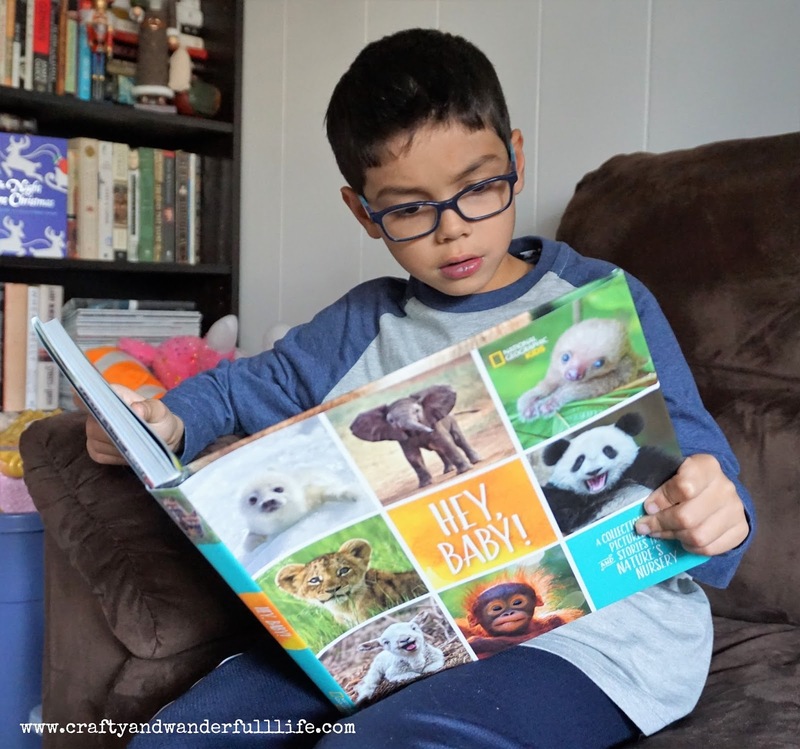 Each section ends with a cute photo gallery called the "Tot Lot," that features more pictures and facts of other baby animals. The baby animals are so cute! My son wanted to find his favorite animal, the coyote. 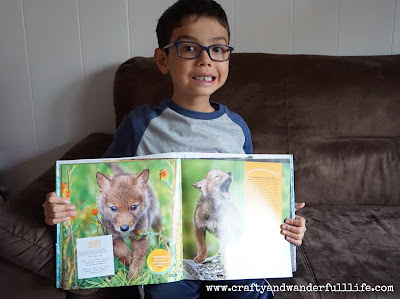 He loved learning about coyote pups and was surprised that they ate fruit, frogs and deer! 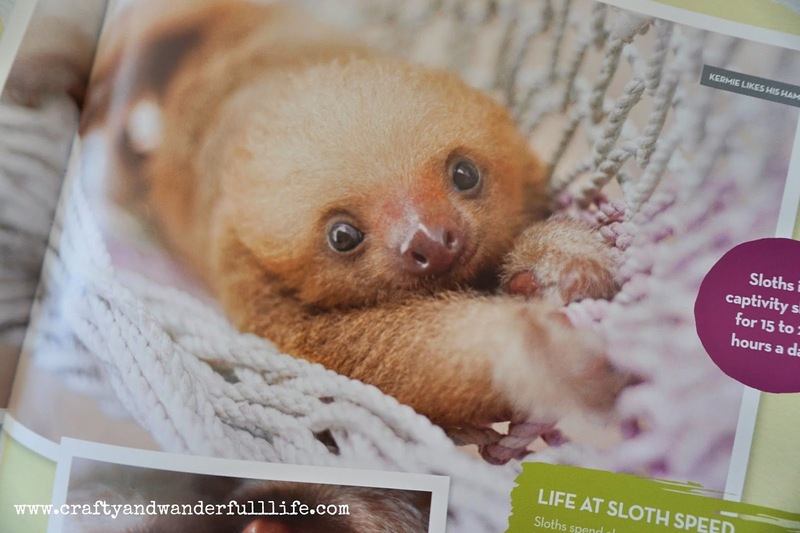 I thought the baby sloth was super cute! Look at him! He's so adorable! I just want to pick him and squeeze him! Purchases of National Geographic Kids books support the exploration, research and conservation efforts of the National Geographic Society. Hey Baby! A Collection of Pictures, Poems and Stories From Nature's Nursery is available to purchase wherever books are sold, including stores like Barnes & Noble and Books-A-Million. The hardcover book retails for $24.99. This would make an awesome Christmas gift for any animal lover. 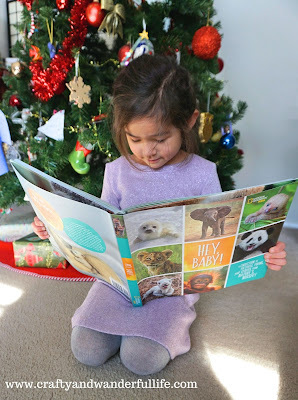 National Geographic Kids is giving away one (1) copy of Hey Baby! A Collection of Pictures, Poems, and Stories From Nature's Nursery to one lucky reader. Enter using the widget below. Giveaway ends at 11:59 pm ET on December 9, 2017. Open to US residents. Good luck! Can't wait? 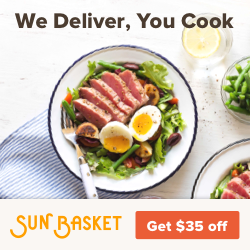 You can purchase one now! 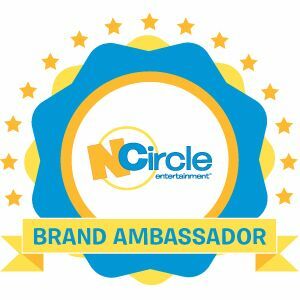 Affiliate link below! I don't have a child. If I won, this would be a gift for my nephew who would love it.